Since launching Wizer 10 months ago, it has been exciting to see how creative, innovative teachers are using the site to make beautiful, engaging digital worksheets that students love. We always try to listen to teachers closely so we can develop the tools they will love. One clear message we heard from our teacher community, was that many are interested in the growing Open Educational Resources (OER) movement and asked if Wizer could be a good platform for teachers to collaborate to create digital resources. 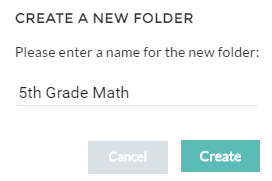 Today we are happy to introduce Shared Folders! Folders are a simple way for every teacher to organize their Wizers into sets. We hope this helps all teachers as they start preparing Wizers for the upcoming school year. Teachers can also invite other teachers to collaborate on a shared folder and develop resources together. The shared folders are easy to use and will enable teams of teachers to work together to create original Open educational resources. The real magic begins when teachers start collaborating to develop resources together by clicking ‘Share Folder’ and inviting colleagues to join the folder. Once the invited teachers join, they will all be able to share Wizers with one another. Thank you soooooo much for adding this feature!!!! 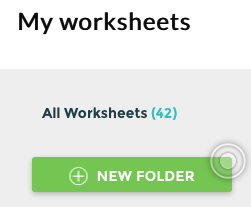 This makes it so much easier to organize the worksheets. Glad you like it Brigitte! We hope Shared Folders will help you and many teachers easily create beautiful digital resources.